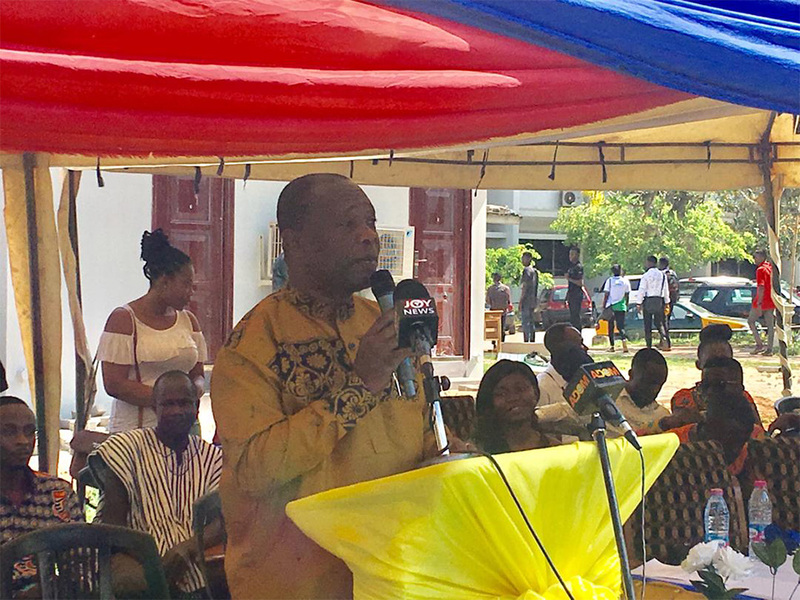 The former Pro Vice-Chancellor, Prof. George K. T. Oduro has observed that the history of Ghana’s socio-economic and political development cannot be complete without reference to the contributions of the student movement. Prof. Oduro noted that globally students have played and continue to play key roles in actions against human rights abuse, political suppression and other peace threatening experiences. Prof. Oduro was speaking at the Launch of 56th Students’ Representative Council (SRC) on the theme “University Students as Pioneers of Sustainable National Peace and Stability.” The former Pro Vice-Chancellor averred that students through their unions have in the past and present times influenced the processes of shaping policies. “It is in this context that I strongly hold the view that students represent the consciousness and the voices of young people in every society and constitute the backbone of our nation’s existence, survival, and development”. Achieving the “Sustainable National Peace and Stability” in the country required that measures should be put in place to ensure that young people including students are not role-modeled through an environment of political intolerance, violence, imposition through autocratic leadership, declining values of mutual love, injustices, intimidation for upholding truth and objectivity, lies and other peace threatening experiences, Prof. Oduro suggested. The former Pro Vice-Chancellor entreated adults in leadership positions to be exemplary to students in terms of peaceful co-existence irrespective of gender, religion, tribal or political differences. Prof Oduro pointed out that the greatest threat to developing co-existence mindset in students was political party polarisation. “Partisan polarisation is fast permeating every aspect of our economic sector to the extent that even universities that are supposed to be apolitical by nature are being threatened by political interferences and manipulations. He, therefore, expressed worry about political pronouncements, agitations and manipulations characterised by tensions in some universities in recent times provided evidence of the extent of partisan party interferences which was fast eroding academic freedom and autonomy of universities in Ghana. Prof. Oduro stated that globally, autonomy and academic freedom of universities were regarded as necessary ingredients for quality delivery of university education stressing that “Autonomy provides a university the liberty to organise its own internal affairs as an independent corporate entity; hence each university is governed by an Act of Parliament and Statutes, with Governing Councils as the highest decision-making body. He explained further that “Academic Freedom, on the other hand, secures the right of faculty and students to engage in teaching and learning and undertake academic discourses on all national or social issues within the confines of the university without external influences”. Prof Oduro was of the opinion that without autonomy of universities to operate under independent-minded Governing Councils, academic freedom would not thrive in any university and this could lead to unnecessary tensions that would threaten peace on campus. The launch was spiced with rich performance and display of Ghanaian culture from the Regional Students Associations on campus.